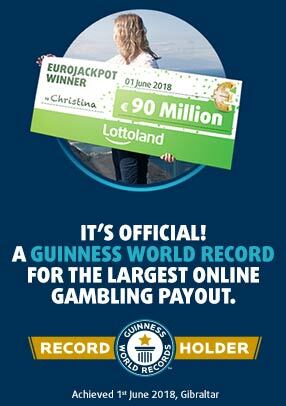 One of the rising stars at Lottoland.ie, the Polish Lotto is proving hugely popular, not just with our local Polish community, but with Irish people as well. With a very low price and incredible jackpot odds it offers exceptional value for money. It's also very easy to understand and, like our own Lotto, it comes with its own Lotto Plus game which gives you an additional chance to become rich. From the southern slopes of Zakopane to northern-most tip of Malin head, and everywhere in between, Lottolanders have started paying attention to Poland's Lottery. So if you're also looking to give the game a whirl but don't know how to begin don't worry, because we've got you covered. Read on to find everything you need to know about how and why to bet on the Polish Lotto. You've probably already heard about our DoubleJackpot option, but for those of you who haven't, this option allows you to collect DOUBLE the amount of any jackpot win. That's right, double the amount, but for jackpot wins only. Keep in mind this will also double the cost of your bet-slip, though what's an extra euro when there's a chance to win millions?! Go to the Polish Lotto page to find a bet-slip where you can choose your lucky numbers. In this case you can bet on up to twelve lines at a time and, as always, you also have the option of using our famous DoubleJackpot feature or of protecting your lucky numbers with NumberShield. Tick the PolishLotto+ box to bet on that bonus game for just 25c more. This is an extra draw with a guaranteed top jackpot prize of €250K. The Polish Lotto draw (and the subsequent Plus draw) is held three times a week, each Tuesday, Thursday and Saturday at 9:40pm CET, or 8:40pm Irish time. That's three chances to become a millionaire from just €3 a week - or €3.75 if you choose the PolishLotto+ option - making the Polish Lotto the perfect choice if you're looking for a budget-friendly lottery game. If, on the other hand, you're a a member of Ireland's Polish community and already an avid fan of the game you can still try your luck online from Ireland without having to get a friend or relative to buy a ticket for you from home. Recently we celebrated yet another Lottoland success stories when one of our Swedish Lottolanders took home a big prize after his bet on the Polish Lotto paid off. 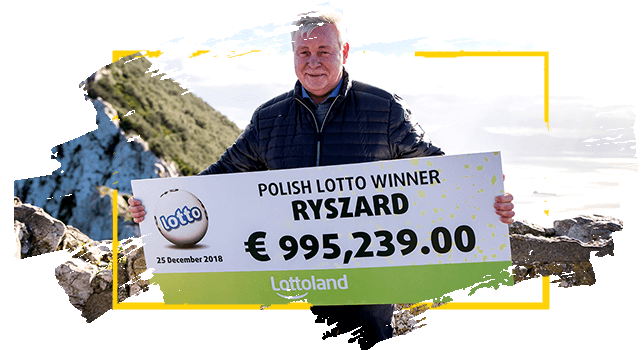 62-year-old Ryszard is a Polish national who has lived in Sweden for more than 10 years, which is why he chose this lotto to bet on. He placed his Polish Lotto bet on Christmas day 2018, and only had to wait a few days to discover that he had landed a win worth over 10 million SEK (about €980,000). Now that Polish Lotto bets are available in Ireland, it doesn't matter whether you are from Warsaw or Wexford, you can still bet with Lottoland to win that top prize. Another great lottery that's becoming hugely popular is the Polish Mini Lotto. Once again this is a great value lottery, perfect for lottery fans on a budget. A basic, single-line game costs just 50c but, not only is it the cheapest lottery at Lottoland, but it also offers the best odds of a jackpot win. As its name suggests, this is a small lottery, meaning that jackpots are measured in hundreds of thousands rather than millions. But then who's complaining? With draws every single day, there's always another chance to win tomorrow. So a lottery you can bet on for just 50c or its big brother, where you can become a multimillionaire for a bet of just a euro. The next Polish Lotto jackpot is worth €1 million if you want to think outside the box and try your luck on this great-value lottery.